Edinburgh Instruments were delighted to act as sponsors at the recent 2018 International Seminar on Advanced Materials Research (ISAMR 2018). 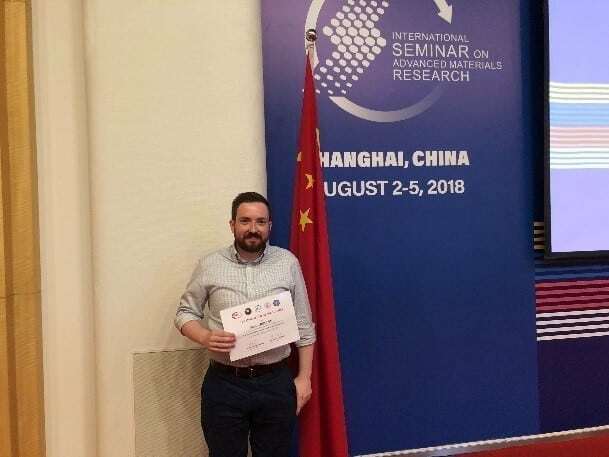 Held on 2-5 August at Dong Hua University in Shanghai, China, ISAMR 2018 aims to promote the development of material science and technology and expand the cooperation level between scholars from different countries in scientific research. It is an excellent platform for materials researchers and doctoral students to review and discover the latest developments and research results of new materials in the last few years. The seminar was very well received with participation by many countries across the globe including the United States, United Kingdom, Canada, Japan, Australia and Germany. It has also received strong support and active participation from scholars from the relevant units and departments in China. 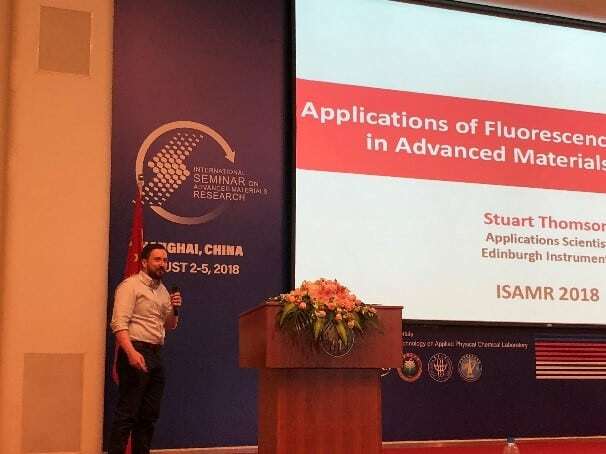 During the seminar, Dr. Stuart Thomson, Application Scientist at Edinburgh Instruments gave a presentation on “The Applications of Fluorescence Spectroscopy in Advanced Materials Research”. Dr. Thomson highlighted the latest applications of steady-state and lifetime spectroscopy in advanced materials research. His presentation contributed towards the greater understanding and application of fluorescence spectroscopy technology for new and old users and attracted much engagement and interaction from attendees. Edinburgh Instruments aims to develop and find more application uses, and promote the wider application of fluorescence spectroscopy in order to help researchers solve problems encountered in scientific research better. For further information on the use of Edinburgh Instruments fluorescence spectrometers in the field of advanced materials research, please contact us. Alternatively, if you would like a copy of Dr. Thomson’s presentation please get in touch. 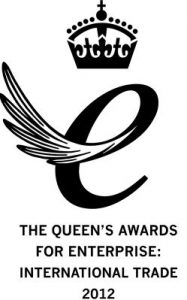 To keep up to date with our latest news and research, why not sign up to our infrequent newsletter via the Sign-Up Button below.